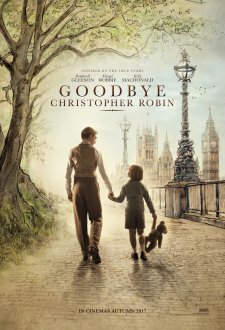 This movie “Goodbye Christopher Robin” tells the real story of the birth of the character “Winnie the Pooh” and stories about him. This movie is about how the parents’ ambitions affect the lives of their children. Rather, this film is calm, measured, unhurried and there is something to think about. It is based on real stories and it talks about some historical facts. It is certainly the drama of living people, which was in the past, but is ready even now to present us with very important lessons and you will learn what. It actually tells how this cult was created, in what family and how it happened that all this became so popular.